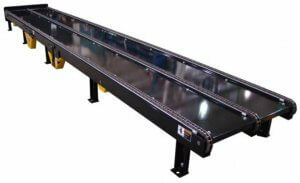 If your business requires the transportation of heavy pallets or large items, a chain conveyor is likely to be the best solution for you. 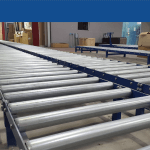 Chain Conveyors provide a heavy duty solution to automation, allowing pallets to weigh up to 1500kgs and be easily movedover almost any distance within your warehouse. 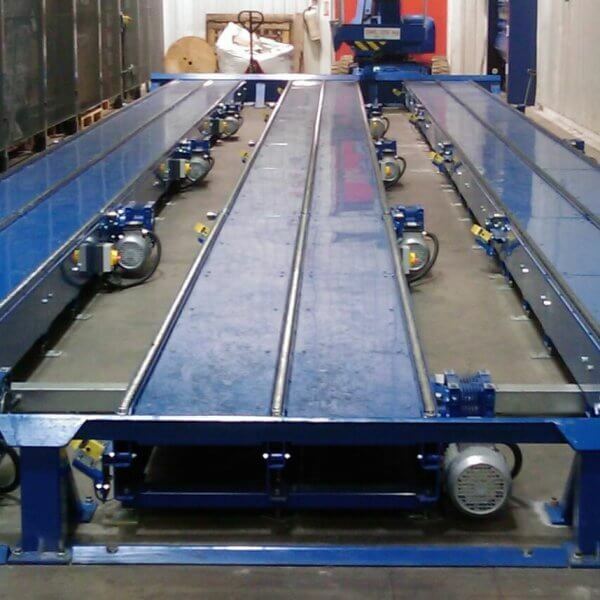 Andrews Automation recently designed and installed a bespoke chain conveyor system using the twin strand chain conveyors, Andrews Automation built 3 identical parallel conveyor lanes each capable of holding up to 16 Euro pallets to a weight of 1500kgs – Only an AGV could be used. The system unloads pallets from the degassing chamber directly on to the conveyor accumulating them in batches. Then the 4 powered sections transport the pallets to a forklift truck off-loading station. This new system allows warehouse staff to work more efficiently and unload pallets when it is most efficient to do so, in batches. This new system has helped to provide a very effective, efficient and innovative pallet conveyor system working in what is a sensitive and highly controlled environment that really helped improve productivity. The system was installed for a large pharmaceutical manufacturer who use the highly toxic Ethylene Oxide in their manufacturing process, meaning the conveyor system had to be able to withstand a toxic process. It goes without saying that everything Andrews Automation do is Health and Safety compliant, whether working in a sensitive environment or not. Andrews Automation guarantee it.